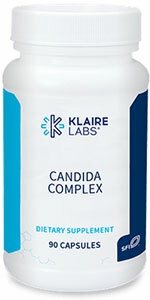 This powerful phytonutrient complex was designed for restoring and maintaining a healthy, balanced gastrointestinal microbiota. 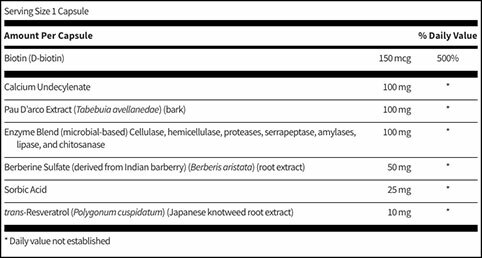 Along with undecylenic acid, this formula also provides enzymes to break down the cellular walls of the candida, berberine and other synergistic factors. Suggested Use: Start with 1 capsule, 1 to 2 times daily or as directed by a healthcare professional. Gradually increase to 1 capsule up to 4 times daily as desired.